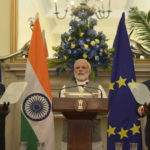 India and the United Kingdom are strengthening institutional cooperation in the field of sustainable urban development, focusing on projects on smart cities. The areas of cooperation include smart cities development, solid waste management, green affordable housing, waste water management, capacity building of urban institutions, skill development in urban areas, urban mobility, intelligent transport system and transit-oriented development, innovative access to finance and other related areas as mutually agreed upon by the Contracting Parties. The initiative is under a Memorandum of Understanding in the field of Sustainable Urban Development since April 2018. An Indo-UK Joint Working Group (JWG) will strategize and implement programmes on cooperation under the framework of the MoU. The Joint Working Group on Urban Development is expected to meet once in a year, alternately in UK and in India.